... but with snowflakes fluttering in the wind and the cold temps, we were reminded it is still winter here. I was hoping for more of the white stuff to keep falling, but to no avail this weekend. 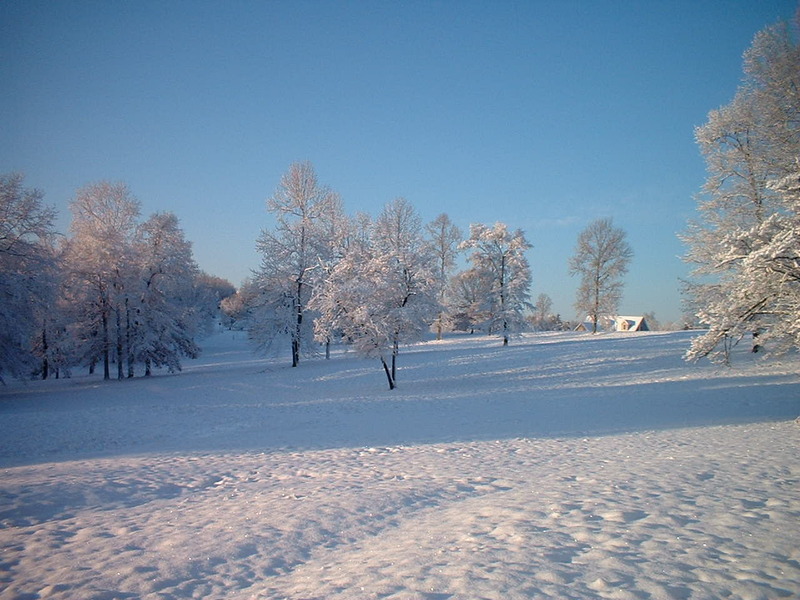 It is so pretty when everything is freshly covered in snow and it makes the cold weather worth it! 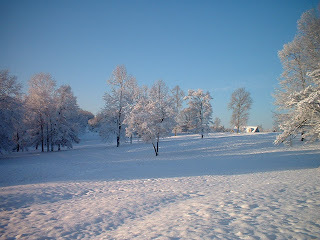 This is a pic of our place after a snow in 2009! You have to admit, it is pretty isn't it? My wonderful husband, Walter, came up with a simple design for this project and the old windows we had stored in our shed were going to work perfectly. We started by building a box out of cypress lumber. The box is large enough to hold a shelf and have two levels of seedlings growing! Last spring I coudn't find a lot of the veggies I wanted in small plants and it was too late in the year to start the seeds. I'm keeping my fingers crossed that this is a successful new adventure in gardening for me this year. 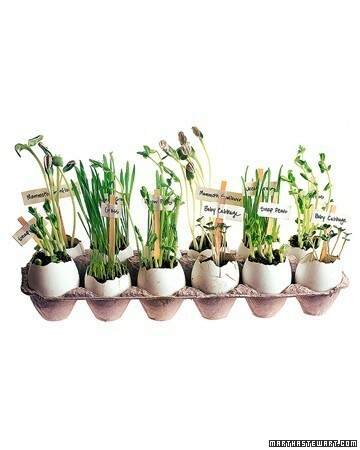 I found a clever idea on Pinterest from MarthaStewart.com using eggshells as the pots to grow your seeds in and once they are large enough you can plant them in the ground, right in the shells. Now to figure out how to break the eggs just right for this project. Any tips? Anyways, a couple hours later we hinged the old windows onto the box we built and we were finished for now. Now off to warm up and do some reading to learn more about this whole seed growing process! Thank you for taking a peek and for the compliment! Thanks for stopping by. Gardening is new to me and last year I missed out on planting a few favorite veggies of mine, that happen to be cooler crops. Like broccoli, spinach and lettuce. So this year we built the greenhouse and I have two rounds of seeds started about two weeks apart so that I can harvest the veggies at different times. From what I've read the greenhouse should be around 70 degrees inside to start seeds. Mine is heated only by the sun. I haven't been methodical about the temp at all. I've just let the sun warm it during the day and so far, so good. I water the seedlings every other day or when the soil seems dry. I started my first round of seeds in the beginning of March and plan to plant them in my raised bed garden this weekend. Thanks so much for stopping by and asking. Fantastic garden frame and a great way to use old windows. The greenhouse looks beautiful! Your dh did such a wonderful job. If you need to keep the temperature warmer and more even, I've heard of people using milk jugs painted black as a heat creator. I think the jugs may have been filled with water to hold the heat. Depending on how you set up the shelves, maybe the milk jugs go under the bottom row or at the back of the green house. Thanks for stopping by and the compliment. I'll have to check into the milk jug thing! Hi! I found you from pinterest. I have a small yard and have dreamed of a greenhouse for so long! This is PERFECT!! I am way to busy to read the other comments, so sorry if this is a dub. But my children and I start our seedlings in the egg carton themselves, totally skip the shells. Some will root right through the carton and the carton is also totally biodegradable. (Not sure if I spelled that right) thanks so much! I blow my eggs out and then use an "egg topper," just like Martha does. The eggshells are fabulous. I do it every year and they don't inhibit growth of the plant root what so ever. #Upcycling at it's best! Bravo! Love your log cabin and greenhouse. Really makes me envy your lifestyle. I got the garden lifestyle but, not the cabin. Always wanted a cabin. I was born in Calif. and totally understand the beach scene and now live on the east coast in the country. I have personal experience that a garden can save you money and reduce your health issues. So stick with eating the fresh foods. I have been promoting a healthier lifestyle for over a year now and you are a great example of how easy and simple it can be. I found you on pinterest and love your blog here. Looking forward to your adventure. Thanks for this wonderful idea ! You have inspired me to use old windows on top of our raised garden beds during the beginning of our planting for next year. I hope you dont mind but I have a link on my blog about this awesome idea ! Thanks for your inspiration. awesome...i plan on building one of these next weekend for my herbs ..we have deer that like to eat evthing.. so this will work perfect:):) instead of eggshells you can also make newpaper pots..i found that on pinterest also..it will definately break down after a few days in the ground..best of luck to you and your family..Great pin :) ty for the idea..
Also an idea from "Pinterest" which I plan to use: save toilet tissue rolls for seed-planting! I picked up a bunch of old windows for free from Craig's List to do basically the same thing. I am going to try winter sowing this year that way. Starting them outdoors kind of like this and letting nature do her thing a little early. That way you don't have to go through as bad of a hardening off process as you would starting them indoors. I love the idea and am considering it, but I grow more flowers than veggies. I live in zone 4, northern Iowa, and would like to start seeds in early March. However, I don't know that sunlight alone will be enough heat in my area. May I ask where you garden, please, and if you use supplemental heat, please? Thanks. 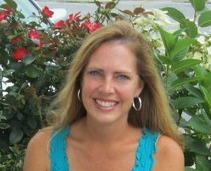 Hi Jan, I'm an in upstate South Carolina at the base of the Blue Ridge mountains. Our climate is definitely warmer and the boxes have worked well with just the sunlight. I have started zinnias, lettuces, broccoli, cauliflower, and spinach the past two years in early March and they did well. They did require constant watering, which I added to the soil rather than sprinkling it over the seedlings. I'm planning to get my seeds started this weekend for this year. You may need to add another heat source in your colder zone. Unfortunately, I do not know much about that. Thank you for stopping by and good luck! Thank you for sharing valuable information. Nice post. I enjoyed reading this post. The whole blog is very nice found some good stuff and good information here Thanks..Also visit my page greenhouse kit Ecologic Technologies Misting System Kits are loaded with great features! What are your temps inside box relative to outside?? What if the sun isnt shining? That's really nice. Exactly what I want to build. Wish I could see a detail of the framing. That's really great. What kind of veggies can ı grow into them? Can ı grow fruits? I was just casually looking for some ideas for planting this year when I came across this post, it's a perfect idea for my back yard and I love the design. It will fit right along the back of my sunporch. I actually have some windows in my shed that would work perfectly. On a side note I was amazed when I scrolled down to see That your name is Adina Johnson!!! My maiden name is Adina Johnston!! Just one letter difference. All of my life it's been a scarce thing to find somebody with the name Adina, as I've grown older I've found it more commonly, however, I have NEVER found a person who had a last name so close as well. Nice to meet you, Adina. Love your ideas! Enjoyed your entire blog too. How neat! I never heard my name very often when I was younger either, but I do hear it more often now, and to have almost the same last name too. My maiden name is Howard. Thank you for the kind words about my blog and I hope your planting goes well! I am a 4-H member in Linn County,Iowa. 4-H is a non-formal youth education program connected with Iowa State University Extension. I am learning about woodworking, and I would like your permission to use you idea in my 4-H fair project. My finished product will be at Linn County, Iowa, and may be published at Iowa State Fair 4-H.
You definitely can use this post in your project. Good luck! Would this work where it would get morning through midday sun but no afternoon sun?